Amid news of widespread rashes and hair loss, advocates interviewed by Rewire are reporting that Flint’s undocumented communities continue to go without access to testing and treatment for lead poisoning. According to the Michigan Immigrant Rights Center, a statewide recourse center for immigrant communities, only U.S. citizens and limited categories of noncitizens are eligible for the comprehensive coverage under a local program made possible by a government waiver, and other Medicaid programs. In the months since the Flint water crisis made national headlines, problems have not abated for area residents, many of whom still rely on filters and bottled water to satisfy a basic human need. Amid news of widespread rashes and hair loss, advocates interviewed by Rewire are reporting that Flint’s undocumented communities continue to go without access to testing and treatment for lead poisoning. Among other reasons, the government system the state has selected for the provision of health care—Medicaid—has made access challenging for some undocumented residents. In light of the crisis, some advocates are collecting testimonies in hopes of qualifying area residents for visas that offer victims of crimes certain protections, including a moratorium on their deportation. In one such testimony, a Flint resident shares that their family was drinking contaminated water for three months before being made aware of the water crisis. To this day, they say they have yet to receive any information on the consequences of lead poisoning and are still unaware of where testing can be done and whether or not it’s free. Flint’s water emergency began in April 2014, when state officials changed the source of the city’s water supply from Detroit’s Lake Huron to the Flint River as a cost-saving measure. The state Department of Environmental Quality has since admitted it didn’t add the necessary chemicals to prevent the Flint River water from corroding pipes, causing water contamination. Flint residents are still required to use water filters; recent testing by the U.S. Environmental Protection Agency at nearly 50 locations in the city found lead levels in filtered water below what is considered dangerous. Some homes in Flint could not be fitted with filters, so bottled water is still being used. Flint’s mayor declared a state of emergency in December 2015, but Gov. Rick Snyder (R) did not declare one until January 2016, when he mobilized the National Guard to distribute clean water and water filters. As Rewire reported in January 2016, some water distribution centers in Flint asked residents for government-issued IDs, creating a hurdle for many undocumented residents. Initially, these residents also were not provided information about the water crisis in languages other than English and information about lead testing to determine if they and their children had been poisoned. The state also received approval from the Centers for Medicare and Medicaid Services to expand its Medicaid program in March, enabling approximately 15,000 additional children and pregnant women to be eligible for Medicaid coverage. But as advocates have noted, many undocumented immigrants do not qualify for Medicaid, which requires proof of legal immigration status. Under the 1996 welfare reform law, lawfully present immigrants, such as green-card holders, cannot receive Medicaid benefits until they have been in the United States for more than five years. The same applies to the Affordable Care Act, which grants access to the insurance marketplace for lawfully present immigrants who’ve been in the country for more than five years. Those who are undocumented are ineligible for the Affordable Care Act. Consequently, only U.S. citizens and limited categories of noncitizens are eligible for comprehensive coverage under the local program and other Medicaid programs. Noncitizens, both documented and undocumented, are eligible for Emergency Services Only Medicaid, but that program does not cover the variety of services needed by children exposed to lead-contaminated water. The coverage, for example, doesn’t include basic, primary health care. As Rewire previously reported, there is no “safe” blood-lead concentration, and the severity of symptoms and likelihood of long-term problems increase with exposure. In young children, this can take shape as behavioral issues, reduced cognitive functioning, anemia, hypertension, and toxicity to their reproductive organs. Research from the World Health Organization also reveals that high levels of lead exposure over a prolonged time period can severely damage a child’s brain and central nervous system, causing comas and in more severe cases, death. Long-term monitoring of those most at risk of “irreversible” brain injuries or central nervous system damages wouldn’t be possible without access to insurance coverage and medical providers. The Michigan Immigrant Rights Center told Rewire that some noncitizen children with legal immigration status may be able to access Affordable Care Act coverage, but that coverage is not comparable to the waiver-based coverage provided by the Medicaid expansion approved in March. Reed further explained that through the Children’s Health Insurance Program Reauthorization Act of 2009, Michigan could choose to remove the five-year waiting period children who hold green cards must wait before they are eligible for the full scope of Medicaid. But Michigan has not opted in. When advocates have raised these questions to state officials, the response has been to tell undocumented and mixed-status families to go to free clinics, Reed told Rewire. Rewire called the North Pointe Clinic, part of Flint’s Hamilton Community Health Network. The clinic did say it provides lead testing and treatment to its patients, but staff “absolutely do not” treat those without a state-issued ID or social security card. Reed said it has been her experience that “certain local and state entities” have no understanding or sensitivity of the realities that undocumented and mixed-status families face when accessing care. “Asking for a state ID when an undocumented parent isn’t eligible for one, requiring social security numbers, not having staff remotely trained in the significance of not having a social security number—no one seems to feel any particular sense of responsibility for some children because of their immigration status, even though all children in Flint were poisoned,” Reed said. Samantha Magdaleno, an organizer with One Michigan for Immigrant Rights, told Rewire that many undocumented adults haven’t been able to access testing for themselves or treatment for their family out of fear of deportation. Reed agreed, adding that Border Patrol is fairly present in the area because Flint is close to the Point Huron International Bridge and there is a Border Patrol station nearby. The attorney said she has been to Flint City Council meetings where Border Patrol agents have said they’re trying to be sensitive to the people affected by the crisis, but they also intend to “go about their business,” which can mean a few different things. Border Patrol agents can go into a private residence 25 miles inland with a warrant; they can pull over vehicles if they have “reasonable suspicion” of an immigration violation or crime; and they can stop people and ask them questions regarding their citizenship status at checkpoints and border crossings. When asked how the fear of deportation affects their life, an undocumented Flint resident shared with One Michigan for Immigrant Rights that they only go to places that are necessary, such as the grocery store, work, and school. “[I’m] always looking behind my back and fearing that someone will stop me or any of my family members,” their testimony read. Immigration and Customs Enforcement is the largest investigative arm of the Department of Homeland Security (DHS). Both consider their highest-priority cases to be “individuals who pose a threat to public safety, such as criminal aliens and national security threats, as well as repeat immigration law violators, and recent border entrants.” It is this last category that is the most troubling for Flint’s undocumented community. As Bridge’s Jacob Wheeler reported in June 2015, Michigan has one of the largest long-term foster care programs in the nation for immigrant and refugee children. In 2014, nearly 200 unaccompanied children arrived in Michigan, Wheeler wrote. If those children lose their asylum cases, however, they can become immediate ICE targets under immigration enforcement policies like Operation Border Guardian, which primarily targets Central American migrants over the age of 18 who came to the United States as unaccompanied children after January 2014. Susan Reed told Rewire there have been countless instances in which Flint’s undocumented community have been failed by both the city and the state since the city switched its water supply. Samantha Magdaleno agrees, which is why her organization, One Michigan for Immigrant Rights, has been collecting testimonies from undocumented Flint residents, documenting their experiences in the wake of the water crisis. The goal, she said, is to help the community obtain U visas, otherwise known as the U nonimmigrant visa. According to U.S. Citizenship and Immigration Services (USCIS), these visas “are set aside for victims of certain crimes who have suffered mental or physical abuse and are helpful to law enforcement or government officials in the investigation or prosecution of criminal activity.” While a U visa would not immediately help an undocumented Flint resident when it comes to accessing care for lead poisoning because they’d have to wait five years before being granted access to Medicaid or the Affordable Care Act, it would provide some status and safety. One Michigan for Immigrant Rights last collected testimonies on May 22. The testimonies detail whether undocumented residents were notified of lead in the water, when they were notified, and if they’ve been able to get testing or treatment. A total of nine current and former state and local officials have been charged in a continuing investigation into the water crisis. There have been charges of evidence tampering in multiple cases, and Reed says obstruction of justice charges will likely continue. Providing Flint’s undocumented community with U visas can also be helpful to the larger community. The health information gathered as a result of the U-visa certification, Reed said, is relevant in terms of the crimes being prosecuted and any crimes being further investigated. The attorney told Rewire that crime victims often have very little information about who committed the crime, but what they have to offer is information about what the effect has been. “I think that’s very analogous here. 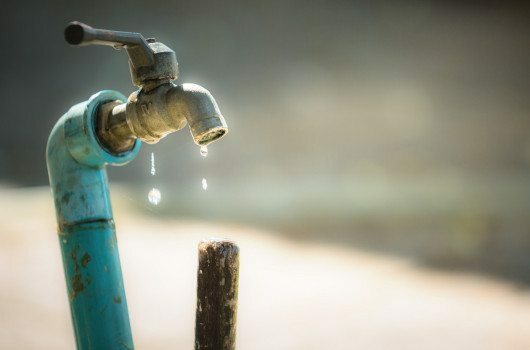 You have people who have suffered severe harm—who may have suffered the most harm of anyone in the water crisis because they were so late to get good information in a language they could understand about what was actually happening,” Reed said. “People were boiling water because that’s a natural assumption about what to do, but boiling the water actually concentrates the lead. People remaining available to a prosecutor or an investigating agency or judge to share information about the impact on their health, their development, on their children’s development, is potentially very helpful to a prosecution. If I were to be able to get U visas certified, that is certainly the argument we would be making to [U.S. Citizenship and Immigration Services],” she added. Beyond the possibility of obtaining U visas for Flint’s undocumented community, Reed said she has “absolutely no idea” what the community will do next as it relates to obtaining treatment for lead poisoning.